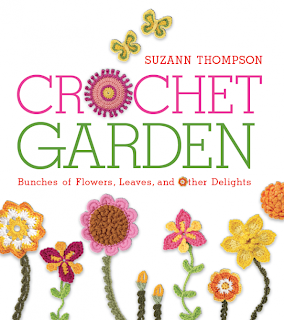 Last month, I won a copy of Suzann Thompson's delightful new book Crochet Garden, and I must say it arrived just in time. Just in time for a heat wave, that is! 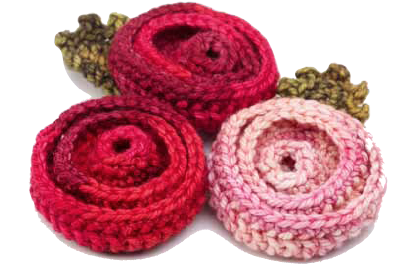 I had remarked in my comment that I love doing small projects in the summertime, ones that don't sit heavily on my lap (I've actually got a half-completed quilt set aside that I'll need to share with you later because I can't stand having it on me while I work!). And lucky me, I won and received a Crochet Garden mere days before the heat wave struck. This is a totally fabulous book. 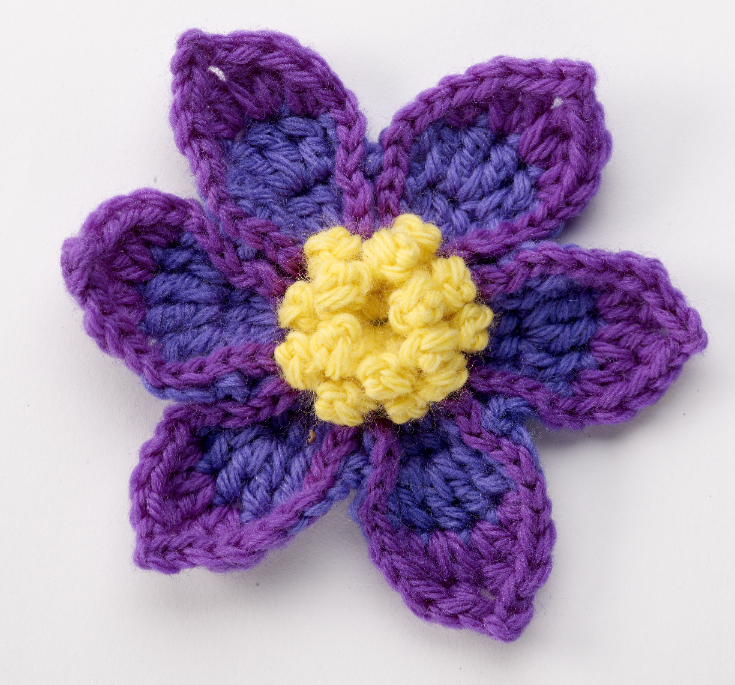 Dozens of flowers are joined by leaves, stems, small critters, and ideas for projects that will use your new creations. You need to know, though, that there are no basic instructions for stitches in this book. I think it's way easy enough to find them elsewhere, and Suzann says that she skipped this part so there would be more room for actual flowers. Not bad! I haven't blocked it, so the stitches around the outside a a bit uneven still, but the twirly center turned out great. 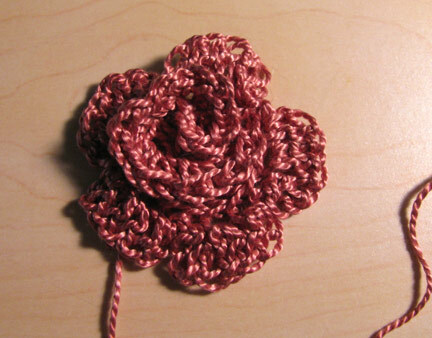 I used DMC size 3 Cotton Perle in color 223. I love the sheen, and even though it's a bit slippery to work with, I really like the results. And here's a cool little factoid: Suzann says she developed this design when another one failed! Isn't that great?